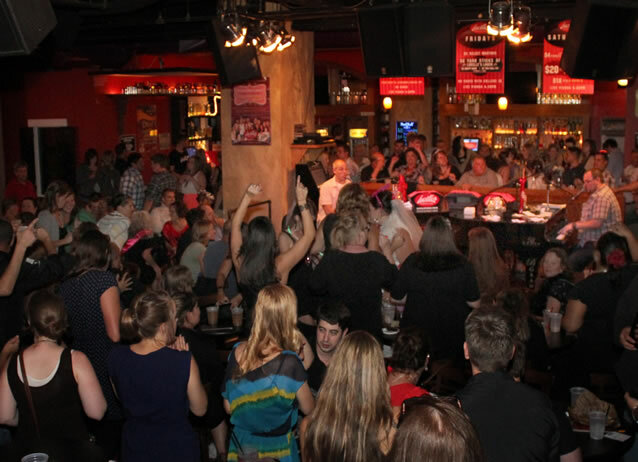 Bars are fun, but dueling piano bars are even better! 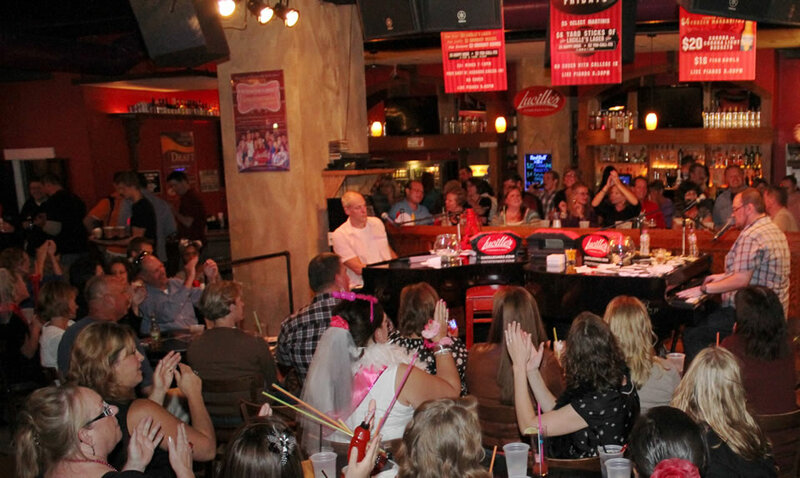 If you're bored of the typical bar scene you should consider stopping by at Lucille's Piano Bar and Grill. Conveniently located in downtown Milwaukee, just a block away from the Bradley Center, you'll be there in no time. At Lucille's, whether you're young or old, alone or with a bachelor party, you'll enjoy more than just a few cold brews. You'll have the experience of a lifetime listening to your favorite songs being played live by talent flown in from across the country. Whether you're into Billy Joel or the Backstreet Boys, the talented musicians at Lucille's can play it all, often adding their own twists to longtime classics. After a few good drinks you'll find it's difficult to not belt out the lyrics with the rest of the crowd to songs you grew up listening to. Before long, you'll be requesting songs and dancing on the floor with new friends. The show can get very energetic as the men and women behind the instruments tend to interact with the audience, especially after they've had a few drinks themselves. It's all about having fun! Drinks and live music are not all there is to be had at Lucille's. There is also a great menu with delicious food to be eaten. A Dreamsicle martini is good, but enjoying it with a tasty burger is a dream come true. It's hard to say no to The Whole Piano, a burger with two patties, bacon, mushrooms, onions, lettuce, tomato, and a fried egg. Maybe you'd rather have an appetizer. Mozzarella sticks are never a bad choice. After you've had your fill of amazing food you can show off your gaming skills at the arcade. Boasting the largest arcade in downtown Milwaukee, you can easily spend hours in front of the screen with a drink in your hand and booming music in the background. If you're looking to book a private event, that's not a problem. Lucille's has room for 400 and seating for 220. In addition to be being able to entertain private parties, Lucille's can also cater an event at your venue of choice. They'll bring the show and booze to wherever you'd like. Booking an event is just a phone call away. Their event planner can easily be reached at (414)225-0304. So, if you're looking for a good time that will fill your heart with joy and good memories you should give Lucille's Piano Bar & Grill a shot!